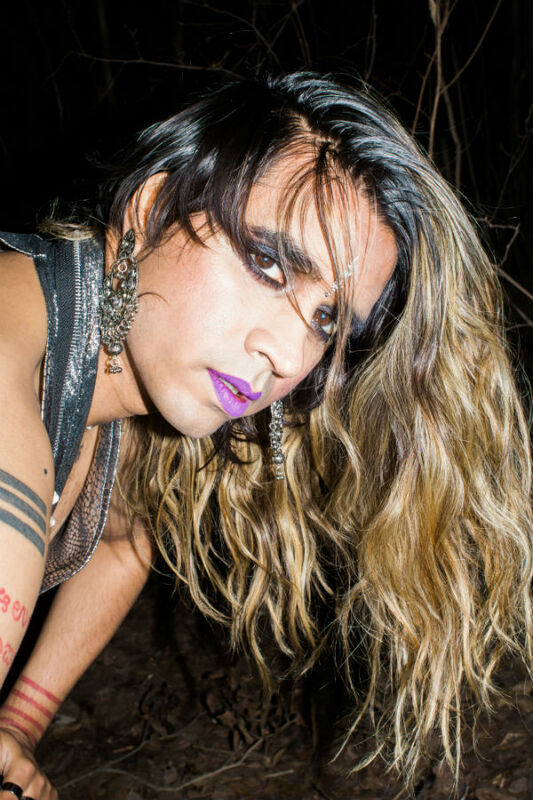 Vivek Shraya is one of today’s most exciting and prolific trans artists and performers. 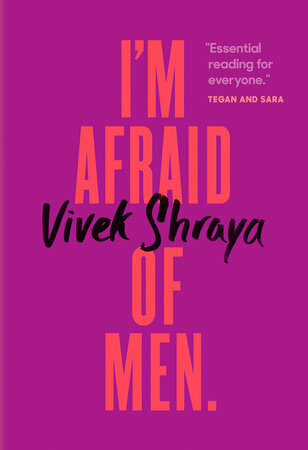 In this special Q&A for Lambda Literary, Shraya spoke with novelist, editor, and Lambda Literary board member Rakesh Satyal about her thought-provoking and candid new nonfiction book, I’m Afraid of Men (the cover of which has a poignant addendum on its back: Men Are Afraid of Me). During your career, you’ve managed to experiment with and try on so many different structures and genres of writing. Why did you decide to write a slender book like this? And how did you decide on the You/Me device that shapes the backbone of the book? The idea for the format emerged in conversations with my publisher (Penguin Canada) while we circled around the idea of exploring masculinity from a trans feminine perspective. I also had not formally explored non-fiction in any of my previous works and am always eager to flex my creative muscle in new ways. Initially, the book was largely written in first person, which makes sense for a personal narrative. 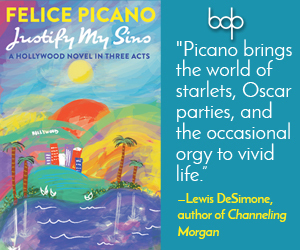 But first person, tied with recounting histories of harm, especially by marginalized bodies, allows the reader to engage as closely or as voyeuristically as they choose, and I didn’t want the reader to have this choice. 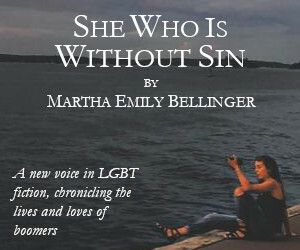 If I was going to do the work of sharing my experiences, I wanted the reader to be present, and in some instances, even consider their own complicity, and writing in second person allowed this. Simultaneously, I knew it was equally important to name my own complicities, as someone who used to be male, and despite “loving women” and being drawn to femininity, still carried detrimental ideas regarding women. After reading the first draft, my editor David Ross suggested we name the sections “You” and “Me” to make these intentions more clear and also to create a more seamless bridge between the jumps from second person to first. That’s fascinating about the second person decision. Are there other works of fiction or nonfiction that employ that device that you read or had in mind as you were writing that section? I’m also intrigued by your usage of the terminology “used to be male” as opposed to “presented as male,” as the general discussion around trans identity generally seems to avoid that kind of before/after dichotomy. Can you speak to that a bit? Every trans narrative is different, and my hope is that this book is part of the chipping away of the trans identity monolith. I never felt like I was “born in the wrong body,” for example, and despite not feeling 100% male as a teenager, my survival was linked to adopting masculinity completely. So it doesn’t feel inaccurate to say that there was a period in my time when I used to be a man. One of the things that you accomplish so effectively in this book is framing the idea of the patriarchy as a physical encroachment–not merely an emotional one. You paint in rather bold lines the fact that the queer body is policed, is put under surveillance, is literally confined by a world that is prone to criticizing it. Can you explain a bit about how you addressed this via the text? I think the danger with words like “patriarchy” or even “misogyny” is that often they are encountered as intangible and even satirical. In the context of a book called I’m Afraid of Men, one of the challenges was how to exemplify patriarchy rather than merely shouting the word and conjuring all of its associations. And this endeavor brought me to the body–the ways that I learned to take up space with my body in my masculine coaching, and the ways that my body has been encroached upon by men. How has your work as a writer of prose informed your songwriting and performing? You always present such a strong aesthetic in your public performances. How has working on this book influenced that medium for you–and the other way around? Last year, I put out my first solo album in six years, called Part-Time Woman, and it was heavily influenced by the books I had written during that span of time–more specifically, what I had learned about the importance of storytelling. I wanted the album to feel like a cohesive narrative from track one to finish, which I had never done with previous albums. That same album featured a song called “I’m Afraid of Men,” which then grew into this book! Similarly, in 2015 I wrote a song and a poem, both with the title “white dreams,” and the poem ended up inspiring my (Lambda-nominated!) collection of poetry even this page is white and the song was a free download that accompanied the purchase of the book (and was featured in the book trailer). So the music certainly has an impact on the writing and vice versa.